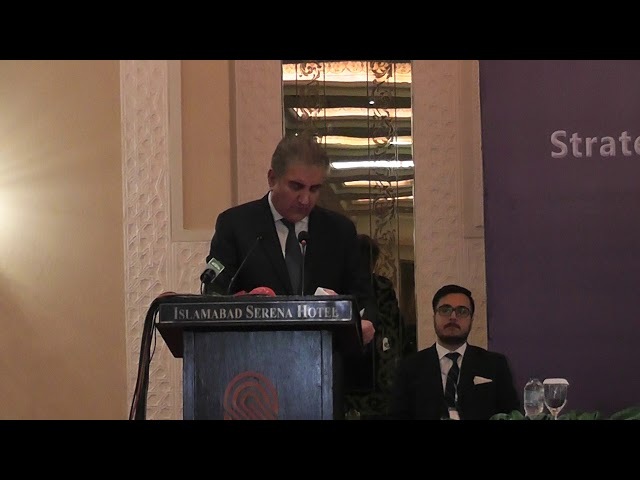 Foreign Minister Shah Mahmood Qureshi on Wednesday underscored the urgency of settling Pak-India disputes, particularly Kashmir, through dialogue and reminded the international community of the need to play a positive and responsible role in the precarious South Asian security environment. 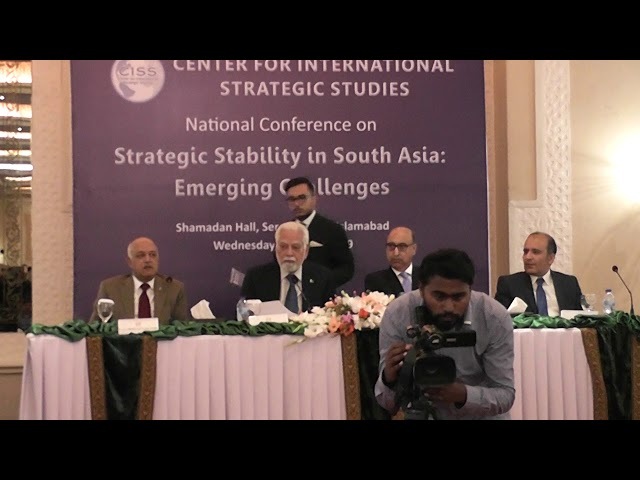 The foreign minister was speaking at the inaugural session of a conference titled ‘Strategic Stability in South Asia: Emerging Challenges’, which had been organized by Center for International Strategic Studies (CISS). 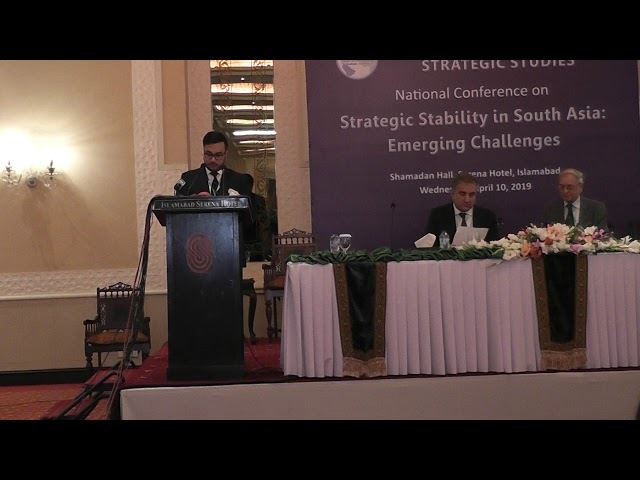 The Conference was held to deliberate on the regional strategic environment in view of the factors straining deterrence stability. 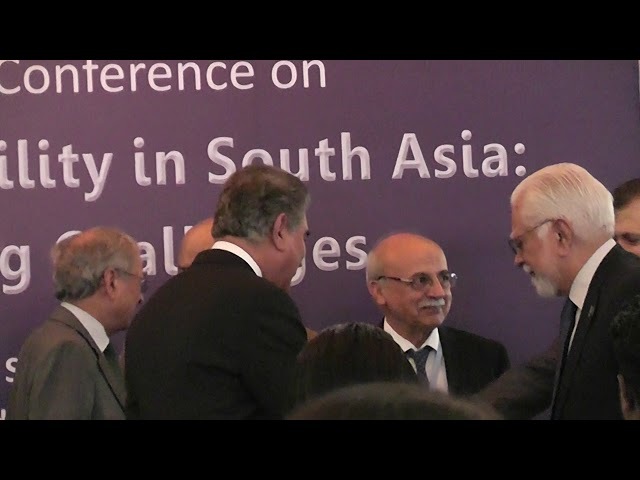 The conference was widely attended by representatives of diplomatic corps, academia, and think tank community. 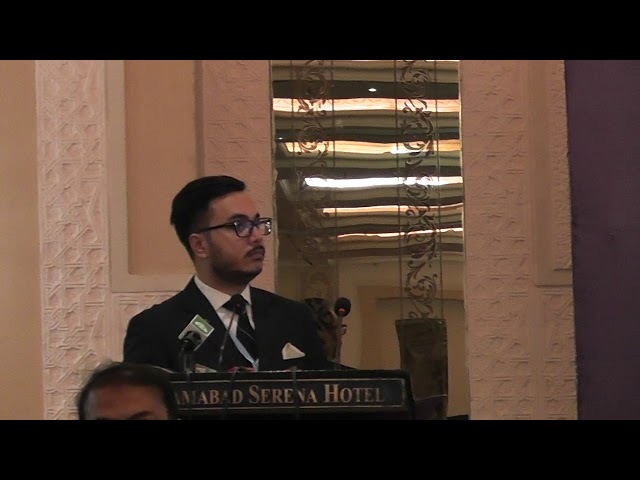 The foreign minister noted the impact of the policies of major international players on the regional environment and called for recognizing “the need for objective and even-handed approach which is not tainted by considerations of geo-political dominance and defining new regional security paradigms”. He, therefore, asked the international community to desist from aggravating the already fragile situation in South Asia through arms supplies and designation of states as “net security providers” for the attainment of their geo-political interests. 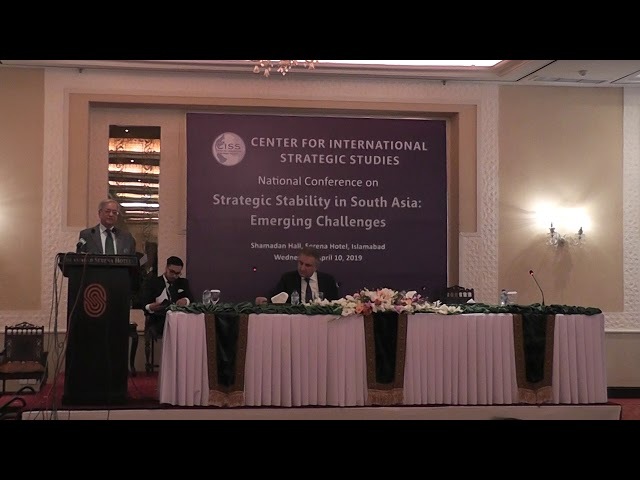 In this regard, he specifically pointed out that massive acquisition of conventional arms; adoption of offensive doctrines; expansion of strategic assets inventory; introduction of Anti-Ballistic Missile systems like S-400; Nuclear Supplier Group’s exemption and recent Anti-Satellite (ASAT) test, were affecting regional stability. 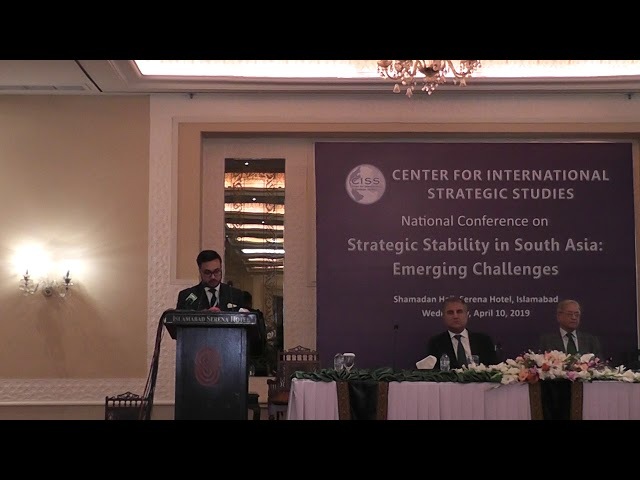 “The recent belligerence displayed against Pakistan and the assumption that Pakistan could be subject to punitive strikes, at will, is a clear manifestation of threats to stability in the region,” Mr Qureshi emphasized and added that stability in South Asia could only be guaranteed through resolution of conflicts. Kashmir, the longstanding dispute, he said, was “at the heart of every crisis between Pakistan and India” including the latest stand-off. On the contrary, the foreign minister maintained, that Pakistan has repeatedly reaffirmed its commitment to peaceful and normal relations with India. The inauguration of Kartarpur Corridor, he said, was a manifestation of Pakistan’s desire for better ties with India. Talking about Indian action of postponing the April 2 round of negotiations on Kartarpur Corridor Agreement, he said, Indians need to understand that the way forward lies in dialogue and not in its suspension. Mr Qureshi, however, cautioned that while Pakistan was desirous of peace, it was “equally determined to frustrate any attempt to create a so-called new normal”. 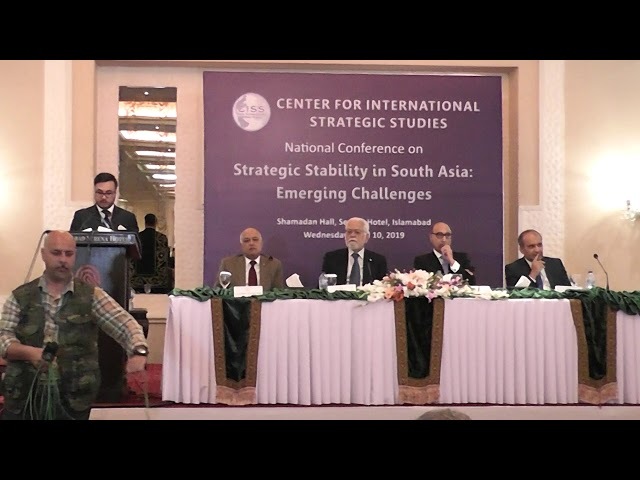 Federal Minister for Human Rights Dr Shireen Mazari, who has also been a defense academic, said India engaged in dangerous brinksmanship after Pulwama because of Pakistan’s defensive response to aggressive Indian actions in the past including LoC violations. Pakistan’s firm response to Indian aggression alongside de-escalatory moves, she contended, conveyed to India that if compelled, Pakistan “could prevail at any level of conflict”. She proposed seven steps for establishing strategic stability, which included, pre-crisis management mechanism possibly through raising the level of military hotlines; strategic dialogue on reduction in missile deployments; improving the advance missile test notification system; expanding the lists of nuclear installations exchanged annually; freezing deployment of S-400 ABM systems; conventional force reduction including offensive weapon system; and establishing a strategic dialogue structure. 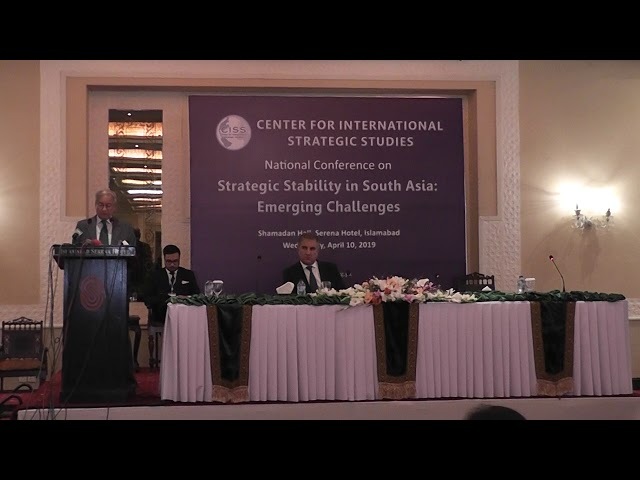 Director General Arms Control and Disarmament Affairs Brig Zahir Kazmi, in his comments on strategic stability, said Pakistan would respond not only to “intent, but also to the ever multiplying and growing capability”. He said that minimalism in the doctrine was not a static concept, rather it was a dynamic one. Its level would be determined by actions of India, he contended and reiterated the resolve to adhere to the principle of credible minimum deterrence and avoid arms race. Regarding India’s offensive doctrines, he said that they shouldn’t be viewed in isolation, rather they should be looked at in view of the systemic changes due to geo-political environment. 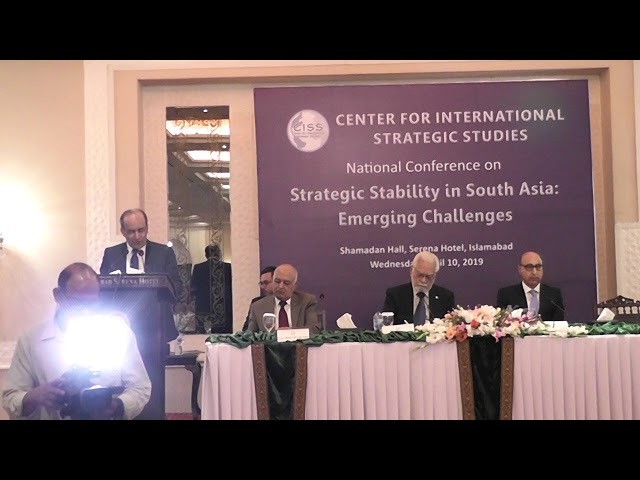 Brig Kazmi said the recent most crisis was prevented from escalating further only because of the statesmanship and restraint shown by the Pakistani leadership. Indian attitude, he said, was irresponsible. He was of the opinion that the emphasis should be on conflict resolution instead of crisis management. He said that Pakistan values its sovereignty and would do everything needed to protect it. Pakistan’s former high commissioner to India Mr. Abdul Basit spoke about the shift in Indian polity from its secular basis to a Hindutva one and its approach towards Pakistan, whom it aspires to isolate, and against whom it had been pursuing the dangerous proposition of ‘limited strikes’. He was not hopeful of any meaningful engagement between Pakistan and India, even over the next five years, in view of the projections that BJP may win the elections and again form the government. 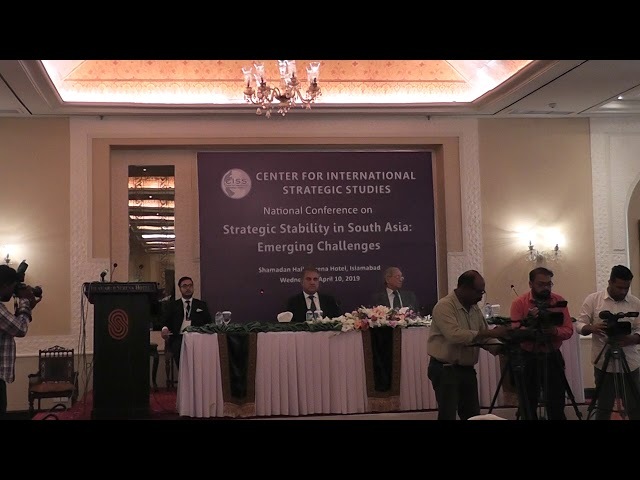 Former Foreign Secretary Riaz Khokhar too observed that even if dialogue between India and Pakistan resumes, it is unlikely to yield meaningful results because of the current state of relations. Former Defense Secretary Lt Gen (R) Asif Yasin Malik hoped that the expected resolution of Afghan conflict would reduce Pakistan’s vulnerability. He called for paying attention on the issue of water autonomy for addressing the vulnerability in that domain and said that India had already seriously damaged the arrangement under Indus Water Treaty. Former Strategic Plans Division official Mr Khalid Banuri believed that deterrence will not fail, although it will remain fragile. Therefore, he said that ensuring strategic capabilities was vital. Amb Naqvi Executive Director CISS gave an overview of the current situation and proposed steps that could ease the tense situation. He recalled the internationally acknowledged link between non-proliferation and Kashmir and recommended that the link should be maintained. 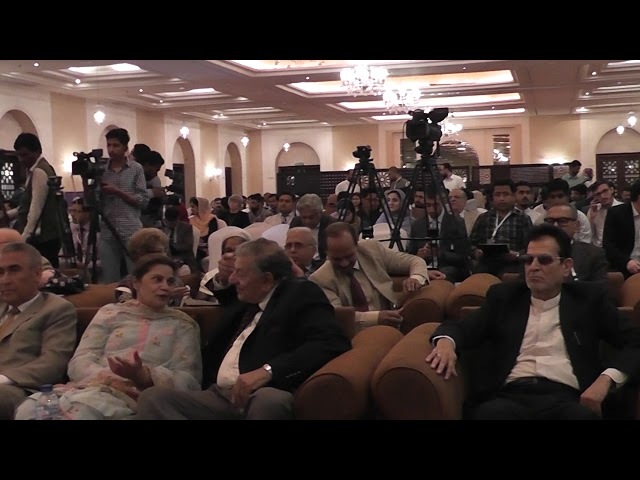 “Progress on Kashmir is essential for progress on non-proliferation,” he asserted. Others who spoke at the seminar included Dr Mujeeb Afzal, Dr Zafar Nawaz Japal, Dr Naeem Salik, Dr Mansoor Ahmed, Amb (R) Ashraf Jehangir Qazi, and Director General Disarmament at FO Mr Kamran Akhtar.